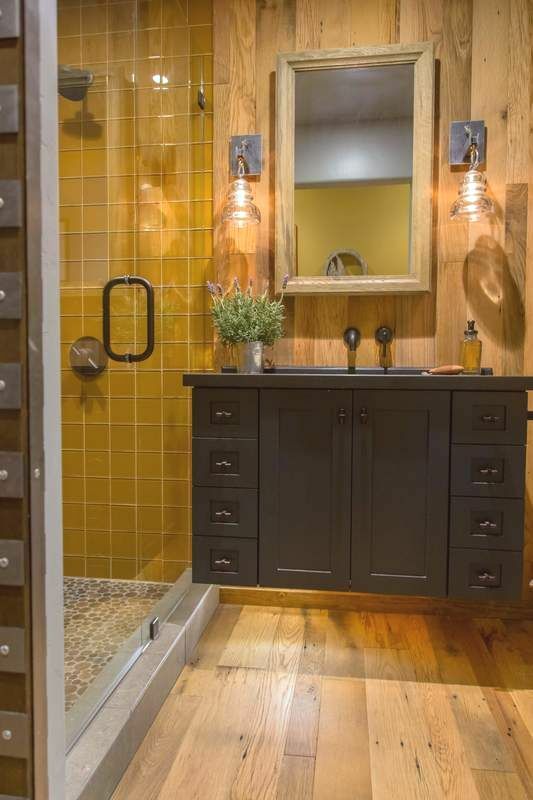 We had such fun with this bathroom! I mean you can NEVER have enough detail. 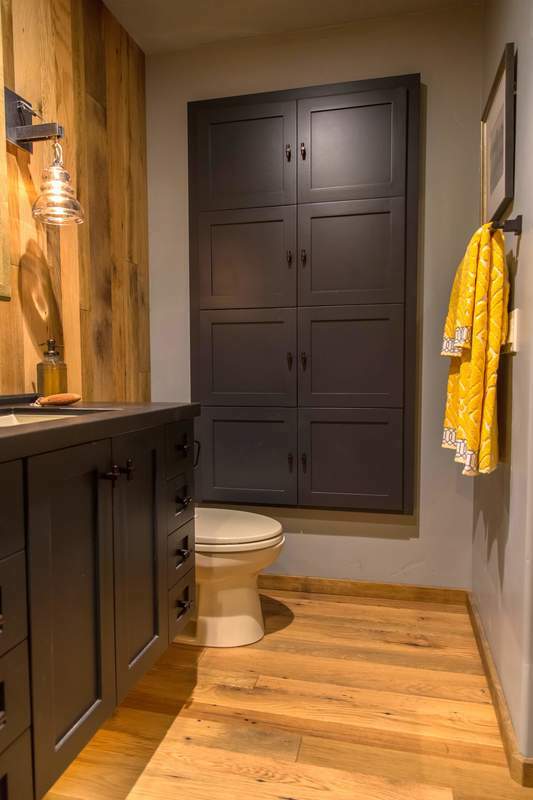 The gorgeous rustic hardware, reclaimed wood & dark slate cabinetry are such and inviting combination. And the bubble stone floor is just the perfect accent to the warm wood & colored glass tile.